This year, 2019, the National Trade Fair on Wine reaches its tenth edition with the greatest presence ever of Spanish wineries, coming in and representing all of the country’s Designations of Origin. Ranging from the strength of nearly a hundred Catalan Cavas, right through to the intensity of Montilla-Moriles wines, without leaving behind the full-bodied wines such as Toro DO, Rueda DO, Navarra DO, or the refreshing Ribeiro DO or the tremendous variety of Castilla-La Mancha protected quality brands, professionals visiting the trade fair will enjoy the opportunity of discovering and trying all the Spanish wines they desire, this from May 7th to the 9th in a highly professional environment, with the efficiency and optimal management of their meeting agendas as the key traits to promote business. 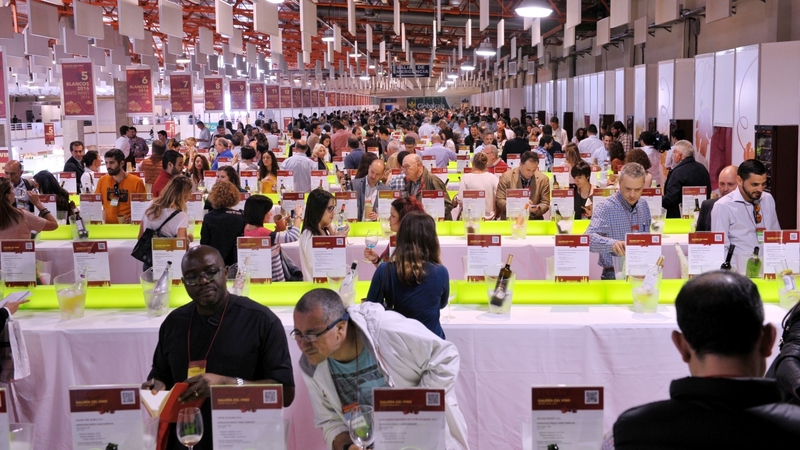 In the last edition the number of wineries interested in selling their wines to buyers from 90 countries from around the world reached 1,802, while this year that number will be even greater, as already there are 2,224 wineries that have registered. Apart from this, the exhibition space has been increased, now reaching 33,346 square meters, with two new pavilions that will carry the names of the poets Li Bai and Hafiz, another sign of how this trade fair is wide open to the whole world. As commented by Manuel Juliá, Fenavin’s Director, “after ten editions with constant growth in both the number of wineries that are present as well as national and international buyers, we can most certainly say that FENAVIN is the largest trade fair of Spanish wineries in the world and, quite probably, the one that gives rise to more business in the least possible time period”. In this business promoting scenario we are expecting the number of international buyers to reach the figure of almost 4,000, that is 5% more than in the past edition, this taking into account the number of pre-registrations that we already have to date. In the opinion of the trade fair’s Director, “it is a basic priority to focus on business and to be more pragmatic than ever so that we can ensure that the wineries will be able to close as many productive meetings as possible within the time space of three work days at the trade fair”. In this case the “Contact with…” Program will allow buyers from the country and from abroad to interchange their agendas with all the wineries represented at the trade fair, in such a way that most of their business appointments will be closed prior to the trade fair kicking off its activity. On the other hand and apart from creating the perfect scenario for business, this important Spanish trade fair on wine continues to take the path it originally undertook as of its very first edition, thus analyzing and proposing new paths that ensure that consumption of wine receives the prestige it deserves, this precisely at a period in time when its consumption is actually dropping among Spanish people. Thus the organization is preparing an Activities Program that, apart from training sessions and conferences on how to improve exporting to different countries or on the latest marketing trends and new technologies to optimize the commercialization of wine, different spaces will also be available in which important personalities from the world of literature, film, fashion, sports, health and the media will be transmitting their passion for the culture of wine and the added value that its moderate consumption can provide to the life of the Spanish people.